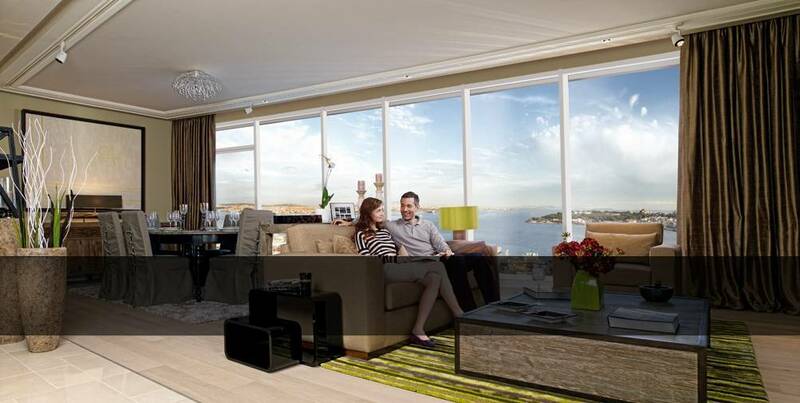 There is a great potential for a branded serviced apartment company to enter the market in Turkey and generate profits. I was keeping this blog as a satellite website to support other sites for indexing, crawling, etc.. up until now but I decide to start adding some actual business plans and industry reports regarding the serviced apartment industry in Istanbul and Turkey in general. So, here is some parts of a business plan for an Istanbul based potential serviced apartment chain that I wrote over 1.5 years ago. The situation is not much different and it should help give an insight to the Serviced Apartment Industry in Istanbul from an investment perspective. And, I will be publishing some parts of the plan possibly in multiple posts. Let’s call the imaginary serviced apartment chain “Techart” and the investment fund “ABC” Here is some of the content from different parts of the plan. Please note that some parts of the plan will be deleted for several reasons one being confidentiality. If the text does not make sense, it is probably because there are parts missing between the sentences. ABC Investment Fund (hereinafter referred as ABC) has identified a significant business model opportunity in Turkey and structured a business model designed to – invest in real estate market in Istanbul, create a serviced apartment brand with a first mover advantage for resale to global serviced apartment chains and ensure a safe investment model with multiple value drivers in place. ABC’s business model is highly flexible, inflation secure and an opportunity driven model. The investors will have absolute comfort in the investment strategies implemented and the availability of multiple exit strategies. 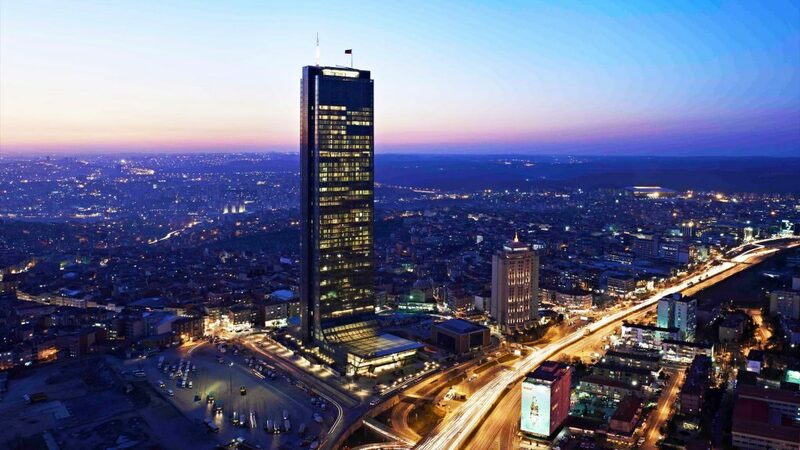 ABC is a real estate investment fund operating in the Istanbul market since 20**. Legal framework – The TECHART serviced apartment fund (hereinafter referred as TECHART) will be a seperate investment company and investors will have equity participation in the company. Security – The objects acquired will be registered in the investment company. ROI – Estimated return of X% per annum. See financial projections. Management – The management will be provided by ABC Managment which will work on both renting the units on a consistent basis and build brand name recognition for the portfolio. ABC has identified a significant business model opportunity in Turkey and structured a business model designed to invest in a portfolio of both distressed and normal properties that can be developed to serve as serviced apartments and create a national brand to market and manage the properties. There is no significant competition in the market. The market is under-penetrated and presents an early-mover advantage to create a leading brand of serviced apartments. ABC, through its connections, have access to multiple distressed properties with unique traits and also has a functioning marketing network. The investment model is designed to bring together individual and institutional investors to invest in real estate opportunities with lower than market prices, guaranteed contracts producing high yields and multiple exit opportunities with various value drivers in place. ABC, through its connections in the market will acquire real estate in Istanbul and develop them to suit the needs prescribed by the investors and facilitate the premises. The initial strategy is to start with approximately 50 units and increase the total number of units to around 300 within 4 years. Identification of 3 objects with approximately 50 units. The entrance point is the Beyoglu area. Setting up the management and marketing team to start promotional activities and brand building. Develop and furnish properties and make them available for accomodation preferably within a maximum term of 6 months after acquisition. Identification of additional objects in Nisantasi, Bakirkoy (airport area), Historic Peninsula and Kadikoy. Acquisition, development and management of additional objects. Identification of additional objects in Ankara and Izmir. Acquisition, development and management of objects in other cities. Portfolio size approximately 300 – 350 units. Possible exit through a sale to an institutional invesment fund or an IPO at the end of 60 months. Once the initial operation stabilizes, ABC will seek opportunities in other major cities to establish a serviced apartment brand that is present nation-wide. TECHART is structured as an open-ended real estate holding fund. ABC has structured its business model to offer the ideal equilibrium between real estate investment opportunities, investment management, property management and investors. Keeping management and operations seperate from investment structure to ensure security of real estate investments. Easier entry for investors and additional exit options such as selling shares instead of selling properties, liquidating individual cash-flow generating objects or a portfolio sale. The investment and property management will be handled through a second company that will operate and be compansated on a performance fee basis. ABC will identify real estate investment opportunities and prepare portfolio proposals. **** Need to delete this part due to some investor commitments. Available for purchase at lower than normal market prices, ABC has access to a network of developers and brokers to locate and bid in distressed properties. 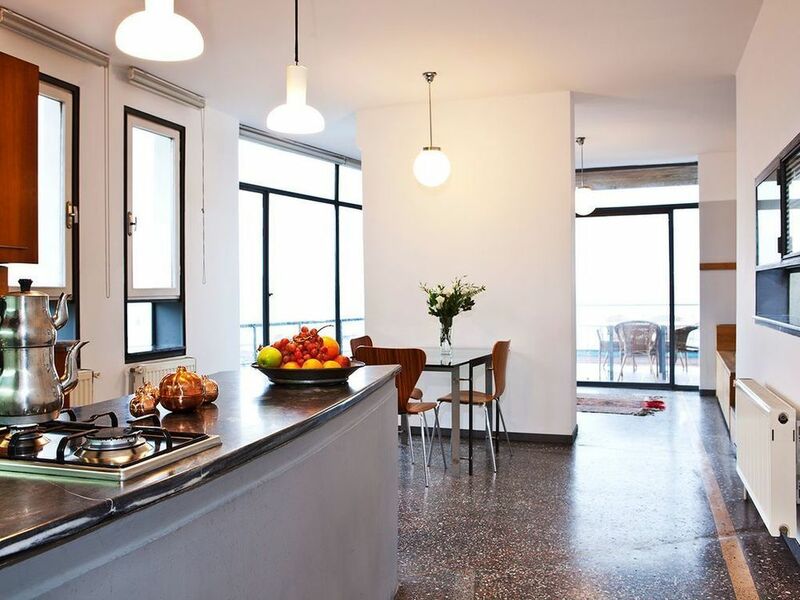 While there are several different types of furnished apartments, Techart is prepared to create multiple brands to meet expectations of travelers at several levels. 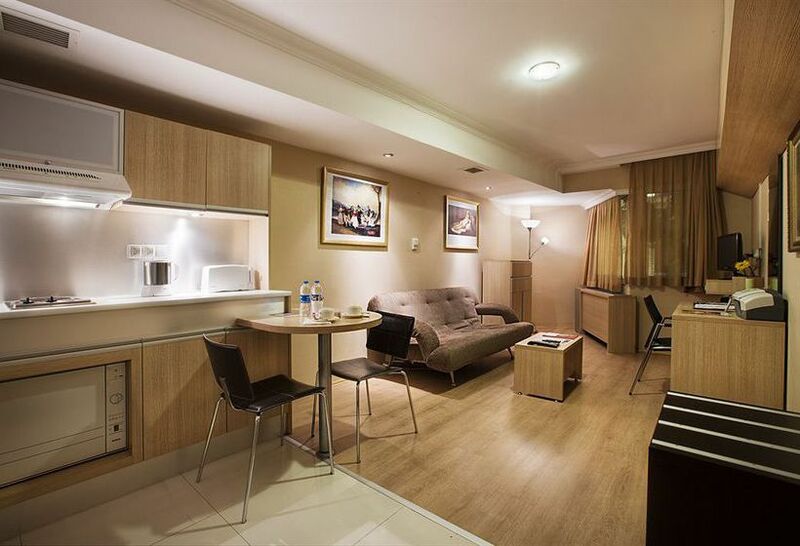 Local and foreign business travelers seeking accomodation from several weeks up to 12 months. Worst Case Scenario: Focus marketing efforts more on local business travelers and offer competitive pricing to classify as corporate housing. ABC’s model makes it possible to both invest in the holding company and also provides a partnership deal with private investors who are interested in investing in single objects rather than the general fund. The TECHART Apartments fund is an open-ended real estate fund employing a holding strategy. Every investor can participate in the fund by acquiring shares. One of the major advantages that come with investing in the general fund is the diversification of risk. TECHART fund acquires and holds various types of properties in several different locations. In case of an unexpected decrease in demand for a certain type of property or for a certain location, the diversification of the portfolio helps with distributing the risk among numerous objects, thereby, protecting the investors. However, if an investor is only interested in a single or a small portfolio of objects, ABC’s model allows for the investor to invest only in the selected objects through an SPV (special purpose vehicle) company. Considering the properties meet the necessary investment standards and are likely to produce the expected returns, ABC invests up to 50% of the required capital for acquiring and developing the properties in partnership with investors. The properties are then branded and managed by ABC on behalf of the owners and this helps with generating a high return (yield) out of the investments while taking all the hassles out of owning investment properties abroad and producing a turn-key management solution. Combining multiple serviced apartments under the same management also helps with decreasing the marketing and operational costs of the investment, thereby, help with increasing the net return on the investment both for the investor and ABC. Value Driver: Establish a strong brand in the market for resale. Become the leading brand in serviced apartment industry in Turkey. Utilize acquired market knowledge and marketing network to ensure high occupancy rates right from the start. Use “art meets technology in living spaces” as a promotional tool. Convey our message to the largest segment of the marketplace in the most efficient and economical fashion. Techart brand will be promoted by expanding on the “art meets technology in living” spaces concept. Art exhibitions, offering of art pieces for sale in living places and sponsored art events will be used to build the TECHART brand name synonymous with art and technology. Most of the competitors in the market suffer from low capitalization and have limited number of units under management. Of those, who have easy access to capital, they choose to remain in the high-end part of the industry which results in focusing on only a small part of the market that are high-income travelers seeking upscale accommodation options. Some competitors have portfolios that are made up of smaller properties with generally 5 to 8 units in different locations owned by multiple landlords. Targeting a limited type of travellers generally result in property managers to choose a part of the portfolio to focus on and increase the occupancy rates while other landlords suffer from low occupancy rates. Although a lot of the data is deleted, this should be enough to give an idea to some of you who are familiar with the industry. Should you want to get in touch for additional information or just to discuss your investment plans, feel free to visit apartments.com.tr or oypo.com and drop an e-mail. As a part of the 4th stimulus package announced by the Turkish government, the private consumption taxes were decreased for a variety of goods or services including the value-added taxes for properties that are larger than 150 square meters. As a part of this program that had to be announced due to the effects of the global crisis will be in effect for a period of 3 months until June 15th of 2009. The previous 18% tax that was implemented for properties larger than 150 sqaure meters is now decreased to 8%. Although this reduction did not directly help recover the real estate market and return to its glory days back in 2007, it definitely helped increased the number of transactions. It motivated some buyers who were already planning to buy these types of properties to go ahed and complete the transactions. If you are planning to buy a property anywhere in Turkey that is larger than 150 square meters, it might be good time to complete the sales within the 3 month period before June 15th and take advantage of this reduction.